At the Centeno Schultz Clinic we utilize a number of regenerative therapies which include bone marrow derived stem cells. Non-Union fractures of long bones. Stem cells can be divided into two principal classes: autologous vs allogenic. Allogenic cells are cells that are from someone else. 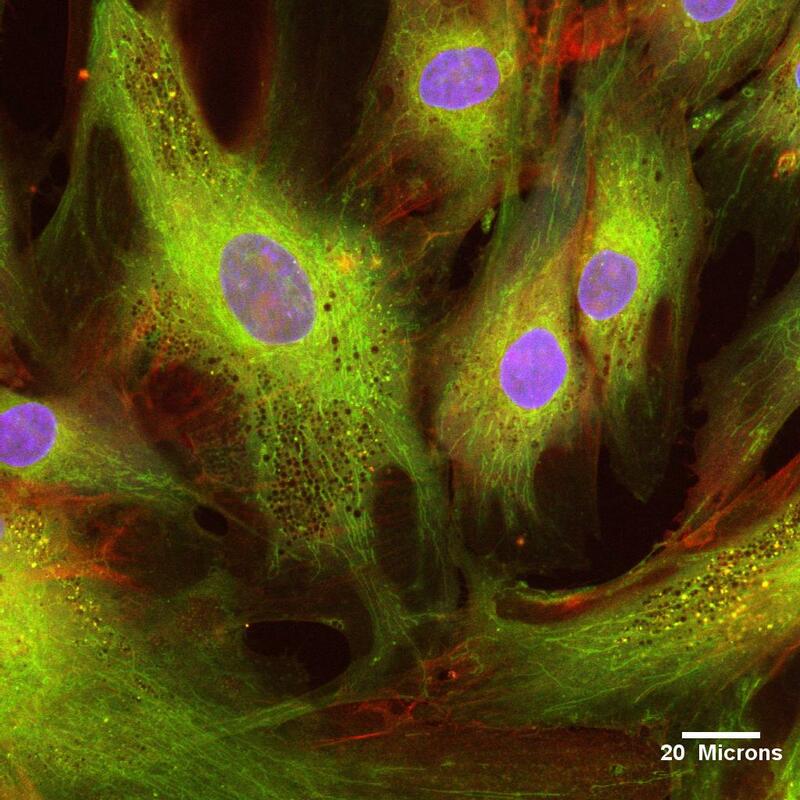 Artificial embryonic stem cells from natural cells are receiving increased attention. There are two principal methods to create artificial stem cells: IPSC(induced Pluripotent Stem Cells) and STAP (Stimulus-Triggered Acquisition of Pluripotency) which are discussed in Dr. Cenento’s video. At the Centeno-Schultz Clinic stability is a central theme as outlined in Ortho 2.0. The lateral ankle ligaments have been discussed in prior blog. Treatment of ankle sprains at the Centeno-Schultz Clinic includes a diagnostic MSK ultrasound where the ligaments visualized and their integrity assessed. Treatment options for loose, partially torn or degenerative ligaments include prolotherapy, PRP and autolgous bone marrow derived stem cells. A video discusses the use of stem cells as an alternative to ankle surgery. 15-20 % of all athletic injuries involve the ankle. 20-40% of ankle injuries will lead to chronic instability. The deltoid ligament supports the medial side of the ankle joint and is composed of 3 principle ligaments. They all attach at the medial malleolus. Tibionavicular Ligament is the most anterior and inserts upon the navicular bone. 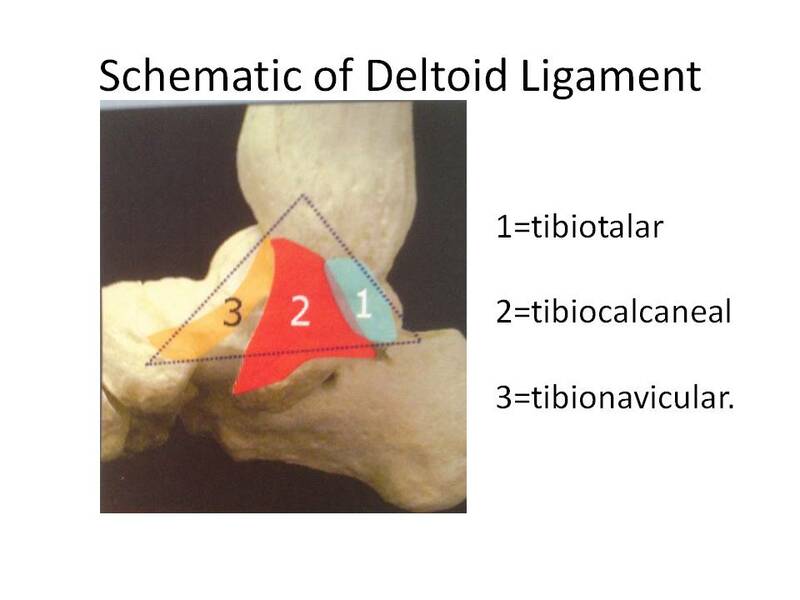 Tibiocalcaneal ligament is the middle ligament and inserts upon the sustentaculum tali of the calcaneus. Posterior Tibiotalus are posterior fibers that connect to the talus. An eversion sprain is a tear in the deltoid ligaments. It occurs with excessive inward rotation and is often accompanied by a fracture of the fibula. 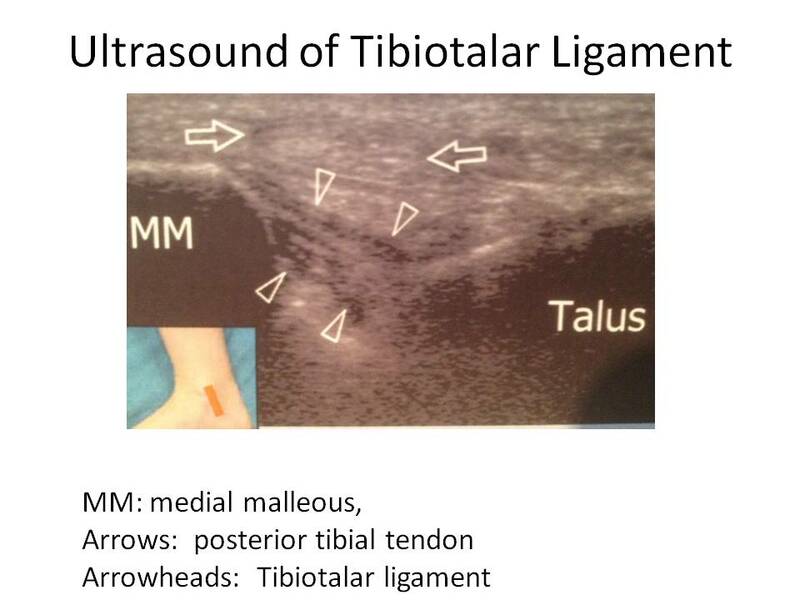 An ultrasound image of the tibiotalar ligament is displayed below. Average NFL career is 3.5 years. An injury can end or significantly shorten a player’s career. Surgery can also dramatically limit a player’s career. Surgery all too often paints a patient into a corner form which they can not successfully rebound given the significant rehabilitation, down time, alternation of simple mechanics of the joint. Jarvis Green, 2 time Super Bowl defense lineman knew first hand the limitations of surgery and its impact on his game. After failed knee surgery and return of pain and restriction in range of motion he rejected surgery and opted for stem cell therapy utilizing the Regenexx C and SD procedure. St Louis Cardinal’s Mark McCormick knows the limitations of surgery and acknowledges stem cells as an alternative to shoulder surgery. 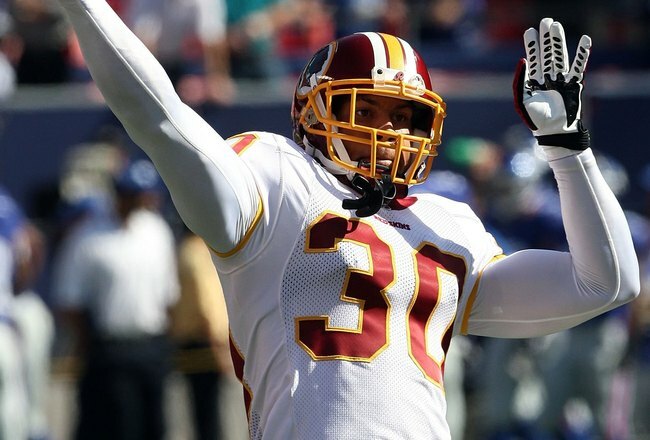 Washington Redskins safety LaRon Landry suffered an Achilles tendon injury and has taken a similar path. After undergoing team recommended PRP and shock wave therapy Landry failed to fully recover. The team instructed him that” the best thing for me was to get open up and fully cut my Achilles and that’s a tough surgery as it takes a year and a half to heal”. He rejected the extensive surgery and Redskins elected not to resign the defensive safety. Ortho 2.0 discusses the importance of looking a stability, alignment and neurological function in treating an injury. The list of professional athletes electing non-surgical stem cell treatments includes Tiger Woods, Hines Ward, Bartolo Colon and continues to grow. Stem cell therapy is an alternative to knee replacement. Studies have documented the success and safety of using bone marrow derived cells in the treatment of knee osteoarthritis in patients who were candidates for knee replacement. Many of the patients at the Centeno-Schultz Clinic are concerned about the risks of knee replacement. Listed below are some of the risks which have been discussed in previous blogs. 1) 44% of patient s/p knee replacement continue to have knee pain. 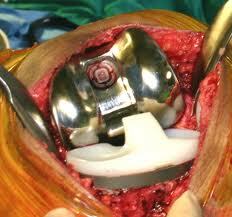 2) 1 in 10 patients who have a knee replacement suffer a serious complication. 3) Blood clots and potential pulmonary embolism. 4) Premature failure as noted in hip replacements. 5) Alteration in gait, creation of new pain and degeneration when incorrect prosthesis size is utilized. 6) 1 in 10 continue to have knee cap (patella) pain. 8) Patients who smoke are at increased risk for complications and death. 9) Association with wear particles. Wear particles are microscopic pieces of metal, ceramic, or plastic that break off of from the knee replacement or hip prosthesis and irritate the local tissues and/or enter the bloodstream. 10) Increase in serum metal ion levels. 11) Increase risk of death after age 70 The odds of dying from the surgery are 4 times higher in patients aged 70-79 years old. The Centeno-Schultz Clinic offers PRP, prolotherapy and bone marrow and platelet derived stem cell therapies. An understanding to function and stability is essential and is covered in Ortho 2.0. Direct visualization using MSK ultrasound or x-ray is our standard to ensure accurate placement and to avoid the complications associated with blind knee injections. Muscle and tendon function is critical to the knee joint health. A brief review of the anterior compartment is helpful. 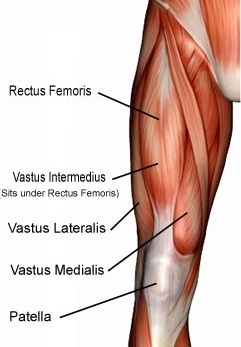 Rectus femoris: A large muscle that covers most of the other, deeper quadriceps muscles. A tendon is a fibrous band of connective tissue that connects the muscle to the bone. 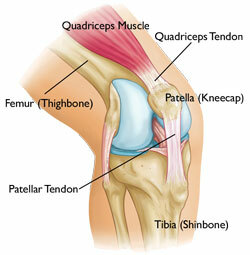 The quadriceps tendon attaches the quadriceps muscles to the patella. Quadriceps control knee extension and stabilize the kneecap (patella). Pain can arise from the quadriceps tendon due to inflammation, chronic degeneration or tear. A tear can be either partial or complete and is usually the result of trauma. Tendon weakness predisposes to tears. Conditions that can lead to tendon weakness include quadriceps tendonitis, chronic diseases, steroid use, immobilization and the use of a class of antibiotics called fluoroquinolones. The risks and possible complications associated with blind injections include failure, increased pain and injury and have been previously discussed. At the Centeno-Schultz Clinic knee injections are performed under x-ray or MSK ultrasound guidance to ensure accurate placement of the PRP, Regenexx SCP or other platelet derived or bone marrow derived therapies. Unfortunately when guidance is not used complications can occur. SG is a case in point. SG is an athletic 45y/o patient who sustained a meniscus injury and declined traditional surgery where a portion of the tear would be cut out. Removal of a injured meniscus places increased force on the remaining knee structure and is associated with acceleration of the degeneration process.(blog). SG acknowledged stem cell therapy as an alternative to knee surgery and opted to proceed with Regenexx SD. He had undergone multiple therapies which included physical therapy, chiropractic adjustments and injection of Synvisc, a medically approved DW40. MSK ultrasound was not used. SG reported that not only was the injection painful since the provider stuck him three times but after the injection the top portion of his knee cap was red, painful to the touch and movement of the knee was difficult. It remained painful for weeks thereafter. Diagnostic knee ultrasound at the Centeno-Schultz Clinic demonstrated inflammation and partial tear of the distal quadriceps tendon. The previous knee injection most likely injured the tendon. Complications such as these can be avoided with the use of MSK ultrasound guidance. Peyton Manning, Bartolo Colon and Terrell Owens all left the United States to receive orthopedic stem cell treatments. Patients are looking for alternatives to orthopedic surgeries and joint replacements. Many patients are fearful of the surgery and the complications. ESPN the Magazine featured the Regenexx stem cell procedure and the treatment of NFL player Jarvis Green at the Centeno-Schultz Clinic. The patella tendon connects the knee cap ( patella) to the shin bone (tibia). It serves to stabilize the knee and allows the quadriceps muscle group to straighten the leg. The patella tendon is prone to rupturing in individuals with a history of patella tendon injury such as jumper’s knee or osteoarthritis. Injuries of this type weaken the patella tendon and in the event of strong contraction of the quadriceps such as landing from jump, the patella tendon may tear or rupture. 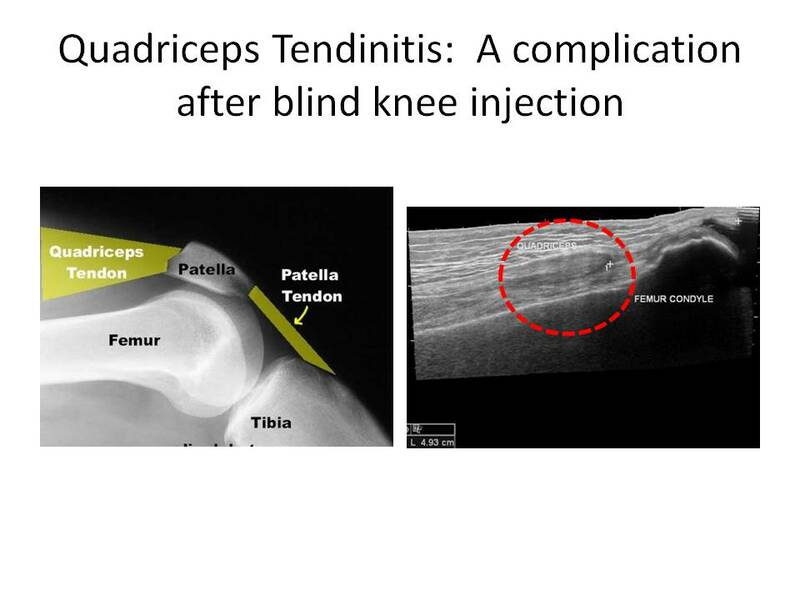 Corticosteroid injections given to address the inflammation seen in patella tendon injuries are also known to predispose the individual to ruptures. At the Centeno-Schultz Clinic patella tendon inflammation and pain has been successfully treated with prolotherapy . This therapy does not predispose patients to patella tendon rupture. Patella tendon repair most commonly involves surgery. Following surgery rehabilitation for patella tendon repair normally involves little or no weight-bearing on the affected knee and wearing a knee brace or cast prevent the knee from bending. This may be required for more than 6 weeks. Rehabilitation from a patella tendon repair is extremely slow and it may take between 6 and 12 months before the patient is able to return to sports. Patient now have the option to utilize their own stem cells to regenerate the tendon and forgo surgery through Regenexx. Repair of torn tendons has already been achieved through this unique technique. 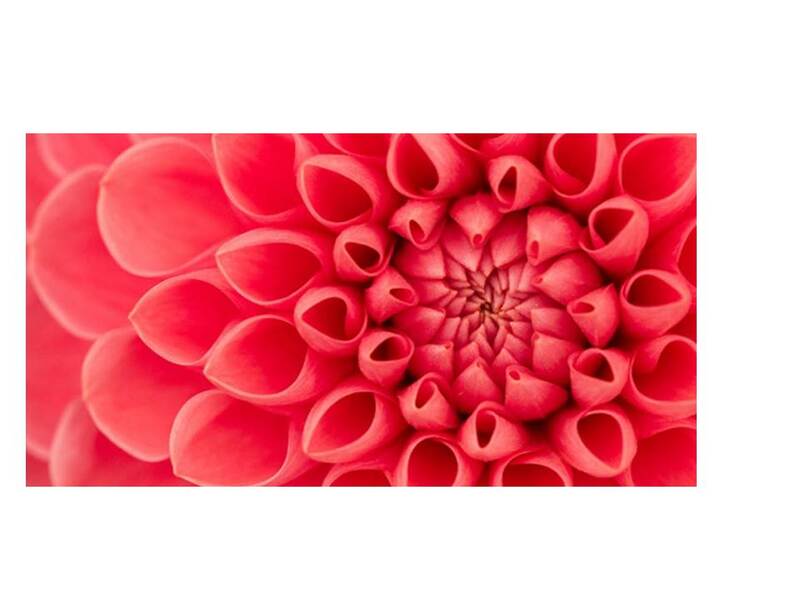 See our patient testimonials on the success of using stem therapy for the repair of tendons.